Prime Minister Trudeau’s government has announced a new National Energy Board process for the Trans Mountain tanker-and-pipeline project. 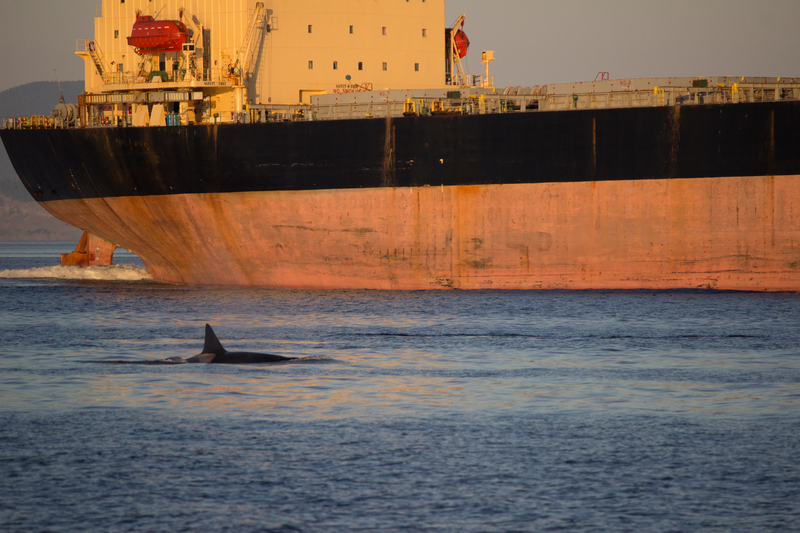 The Federal Court of Appeal made it clear that the first NEB panel got it so wrong in its assessment of marine shipping impacts on Southern Resident orcas that they need to do it again. Georgia Strait Alliance will once again be an intervener in this upcoming process, meaning we can seek to influence the Board’s recommendation or decision. This upcoming process has deep flaws – of that there can be no doubt – but it is an important opportunity to make it clear to the NEB and Prime Minister Trudeau that this project’s impact on these endangered whales are not justified. And we’re going to need your participation to help get that message across. Last week’s announcement gives an incredibly short window for the public to participate, includes draft terms of reference that dramatically restrict what the review will look at, and seems to be primarily concerned with managing political perception. Broader issues, like the actual economics of a project that’s now under taxpayer ownership, or the climate impacts of massive new Tar Sands infrastructure, are still not being considered. The review is meant to be narrow, small and above all, short – it’s set to provide a report out by February 22nd 2019. It is clear that Prime Minister Trudeau wants a process that gets to yes, and he wants it before the Alberta and federal elections next year. Our priorities are different: we want a process that gets to the truth. We are coordinating with our allies, engaging with technical experts, and considering the evidence introduced in the last round to make sure we can submit the best evidence possible under these time and scope constraints. Even within these constraints, there are important considerations to keep in mind: the impacts of additional tanker noise on Southern Resident orcas, the behaviour of bitumen once in the waters of the Salish Sea, what the actual impacts of recent oil spill upgrades are on our ability to respond, what a reliance on oil dispersing chemicals like Corexit means for these whales and their food chain, and many other issues. We think the science is clear: this project’s impact on southern resident orcas, already facing extinction, would be devastating. Moving oil this way may result in the disappearance of these iconic creatures. But that’s not enough. We must show that the project’s impacts are not justifiable, and you have an important role to play here. In the end, the decision as to whether or not all this pipeline building and tanker sailing is justified can be informed by science and expertise, but the judgement is about values. We believe our region is enriched in many ways by the Southern Resident orcas: they matter to our ecosystems, to our economy, and to our culture. We are going to need to mobilize thousands of people across the Salish Sea to make clear the importance of these magnificent creatures to our way of life. As the process continues, we will keep you updated on important events. And we are going to need your help to not only send a message about how our region values the Southern Residents, but to help find more messengers. Sign up for our email lists, follow our Facebook page, and get ready to defend our orcas and our coast. Thank you for continuing to defend our coastal habitat and climate more broadly. Will be along for the fight. I agree that Pipeline gone be a Disaster! To the Marine life & Coast & Birds etc… Mr Trudeau a greed! Just see the billions of dollars! DonT care about the Rest! More oil for China! $ $ the Whales will die etc… 7x more ship ,accident will happen , Rocky p.